For my sewing room. I made the ones in the picture for a custom order. 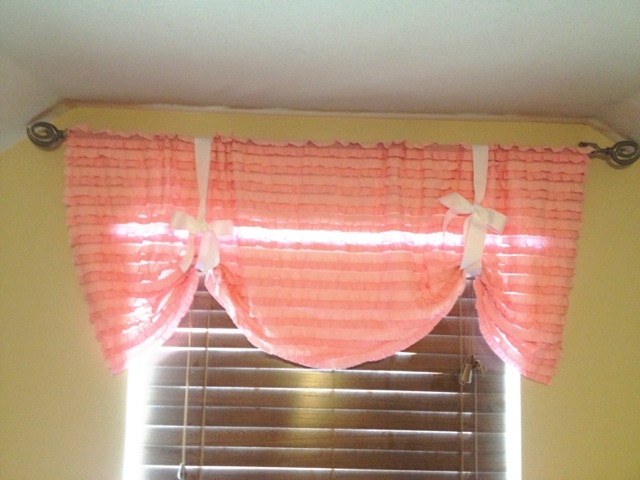 The valance measures 44 inches wide and 20 inches long. The tiebacks are 1.5 inch grosgrain ribbon. Decisions, decisions...What do you think? Very cute! I love how they look. Thanks or linking up with Idea Box!